Global efforts to combat TB have led to significant health improvements. However, progress in many countries has stalled, global targets are off track, and persistent gaps remain in TB care and prevention. 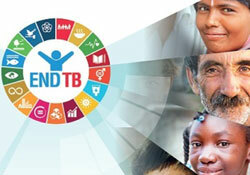 TB still kills more people than any other infectious disease. It is the leading killer of people with HIV and is associated with major issues with regard to antimicrobial resistance. In the Declaration, ministers agreed to minimize the risk and spread of drug resistance and to do more to engage people and communities affected by, and at risk of, TB. This is highly relevant for the WHO European Region, which has the highest multidrug-resistant TB (MDR-TB) rates of all WHO regions. It is also the only region where HIV and TB/HIV coinfection rates have recently increased. building accountability, including through multisectoral approaches.